Dalam taksonomi, Methanopyrus adalah genus dari Methanopyraceae. ^ See the NCBI webpage on Methanopyrus. Data extracted from the "NCBI taxonomy resources". National Center for Biotechnology Information. Diakses tanggal 2007-03-19. Schacherl, Magdalena (December 2013). "Structural characterization of the ribonuclease H-like type ASKHA superfamily kinase MK0840 from Methanopyrus kandleri". Acta crystallographica. 69 (12): 2440–2450. doi:10.1107/S0907444913022683. Su, Andreas; Tripp, Vanessa; Randau, Lennart (July 2013). "RNA-Seq analyses reveal the order of tRNA processing events and the maturation of C/D box and CRISPR RNAs in the hyperthermophile Methanopyrus kandleri". Nucleic Acids Research. Oxford University Press. 41 (12): 6250–6258. doi:10.1093/nar/gkt317. ISSN 0305-1048. PMID 23620296. Diakses tanggal 12 November 2014. Kurr M; Huber R; Konig H; Jannasch HW; et al. (1991). "Methanopyrus kandleri, gen. and sp. nov. represents a novel group of hyperthermophilic methanogens, growing at 110 °C". Arch. Microbiol. 156 (4): 239–247. doi:10.1007/BF00262992. Huber R; Stetter KO (2001). "Family I. Methanopyralceae fam. nov.". Dalam DR Boone; RW Castenholz. 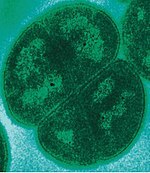 Bergey's Manual of Systematic Bacteriology Volume 1: The Archaea and the deeply branching and phototrophic Bacteria (edisi ke-2nd). New York: Springer Verlag. hlm. 169. ISBN 978-0-387-98771-2. Artikel bertopik arkea ini adalah sebuah rintisan. Anda dapat membantu Wikipedia dengan mengembangkannya. Halaman ini terakhir diubah pada 1 Oktober 2018, pukul 07.12.